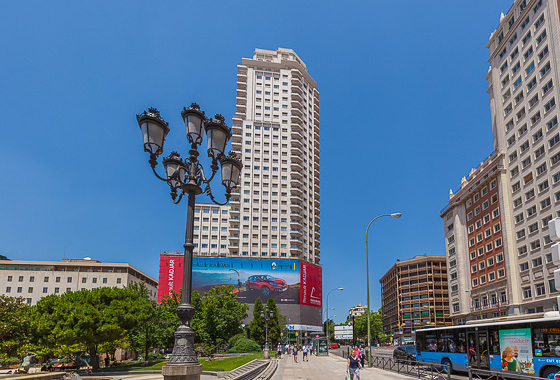 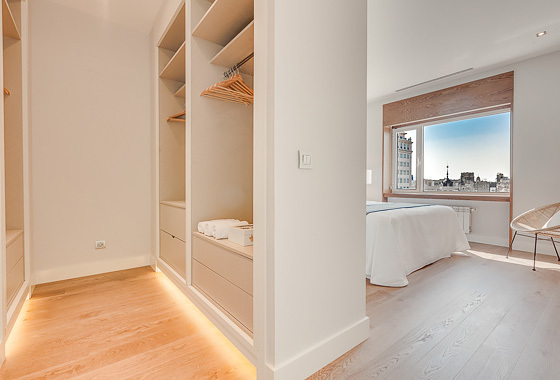 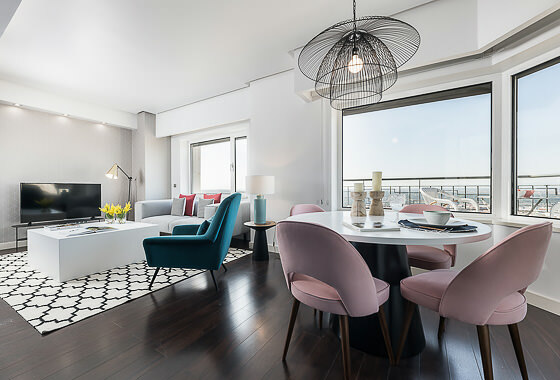 On the 14th floor and with access to the communal gym, Torre Madrid XXVI will offer you a wonderful nest in which to enjoy Madrid, right at its core. 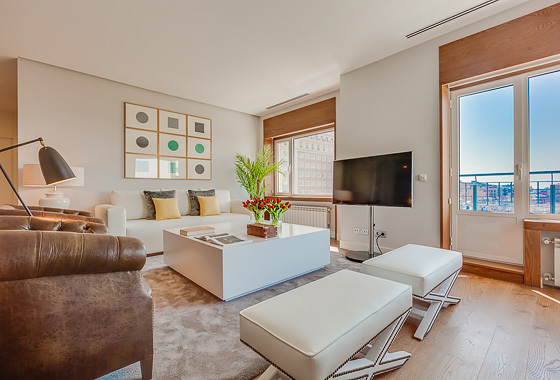 Like all the others in our homogeneous collection of suites within this building, it is illuminated by the presence of large windows throughout and enjoys a very open-plan living arrangement that is laid out in a way that seems to draw you subconsciously towards the incredible views beyond. 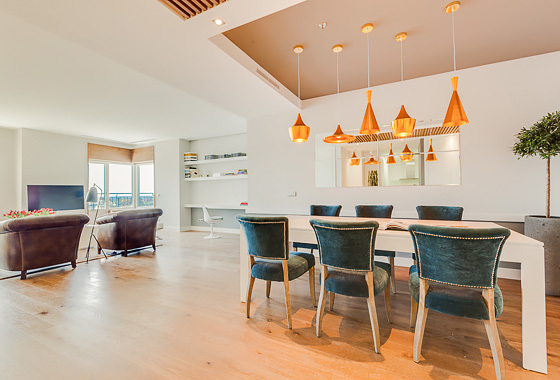 Yet, just like its counterparts, it retains its own character and persona, thanks to made-to-measure, curated furnishings and fittings, like the golden lampshades that hover above the six-person dining table, or the shelf fittings that form a makeshift office by the lounge. 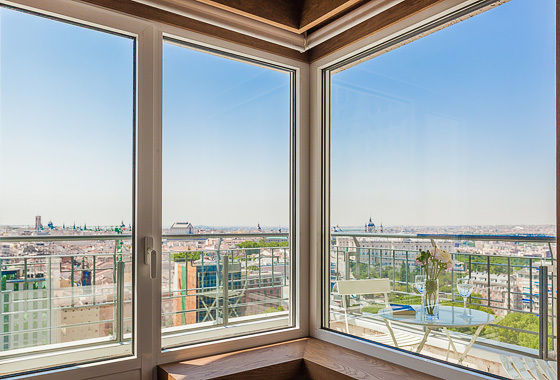 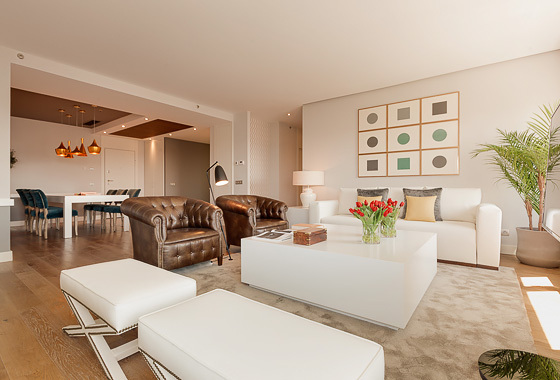 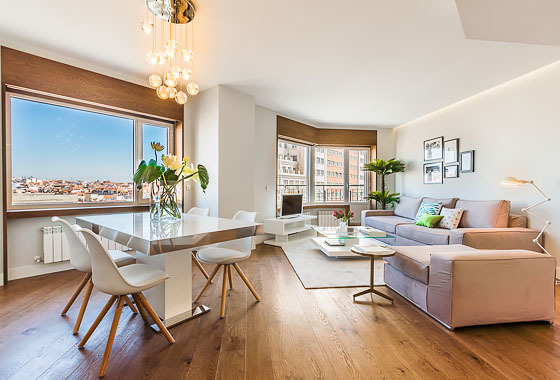 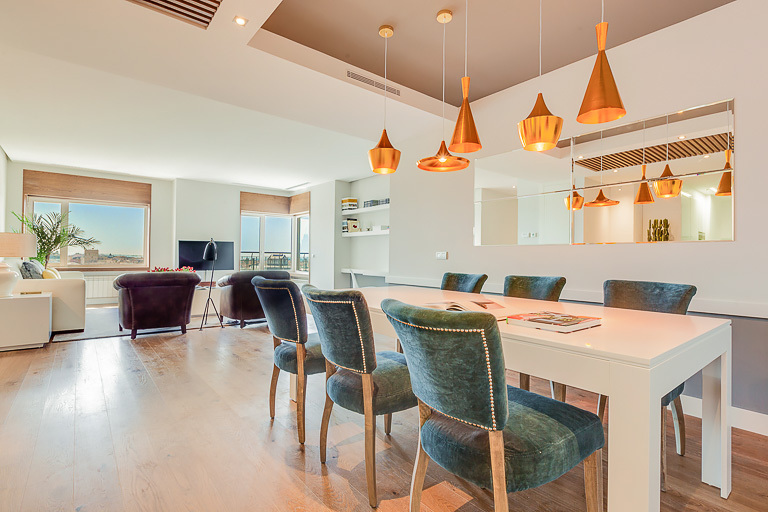 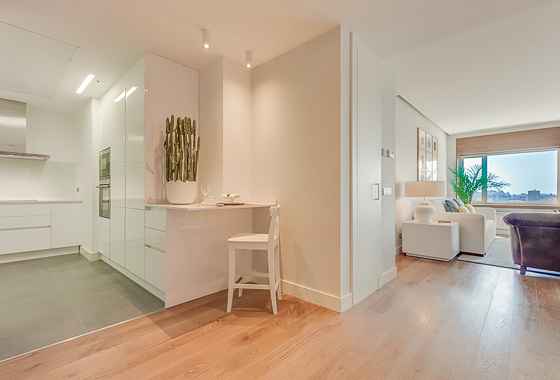 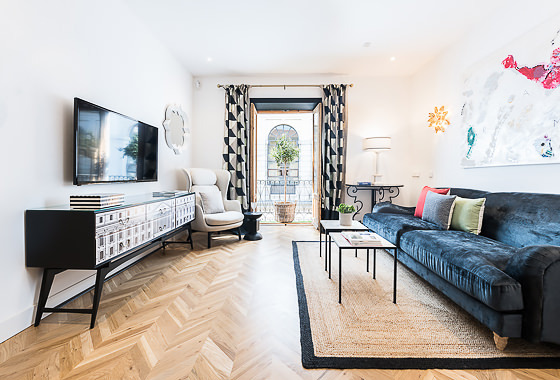 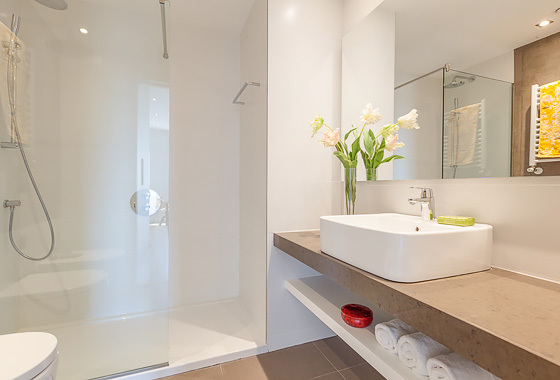 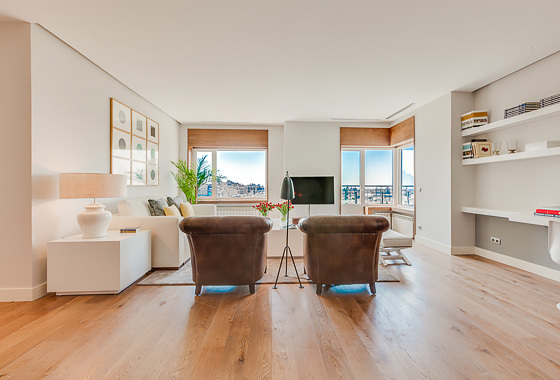 Therefore, if you are coming to Madrid for a family or group escapade, few properties will offer you the combined opulence, exclusivity and convenience as Torre Madrid XXVI home will. 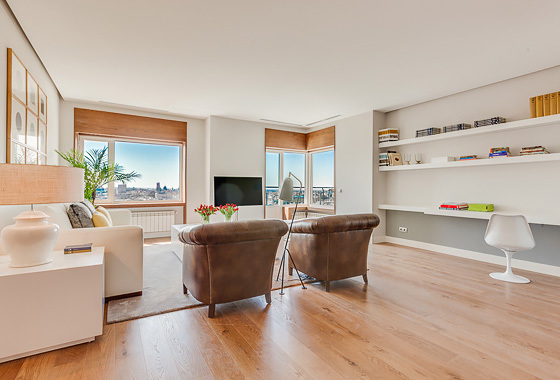 Our wish is that you have the most authentic and memorable travel experience with us at Torre Madrid XXVI. 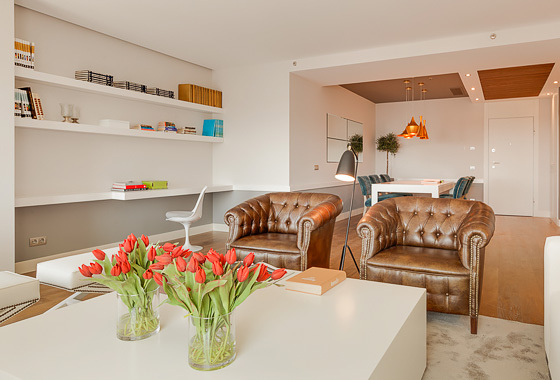 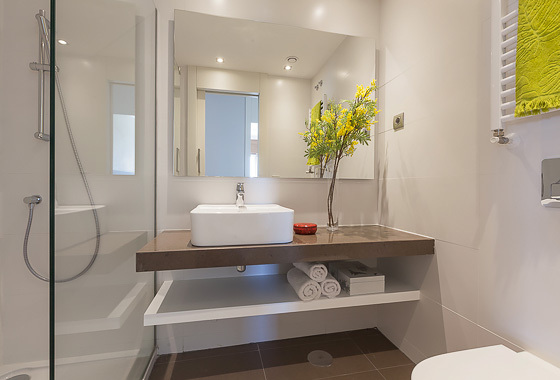 Your stay should be exactly how you picture it, which is why we will lay on a few home comforts to start your stay the right way. 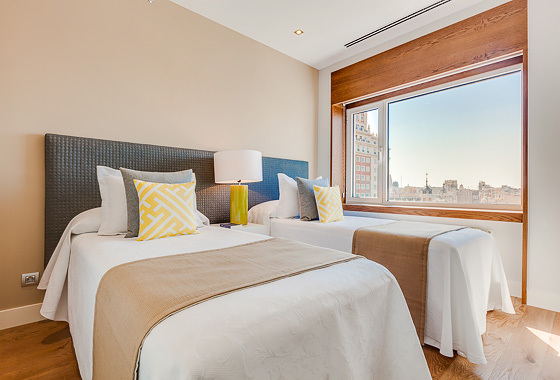 Upon arrival, you’ll receive a hearty welcome from a dedicated Home Select Local Ambassador. 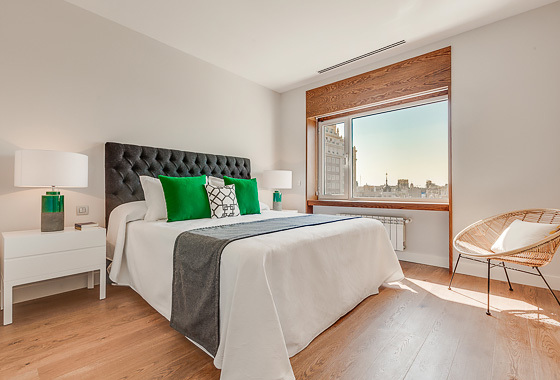 Bursting with local knowledge, your ambassador will load you with useful tips on things like where to indulge your tastebuds, pick up essential supplies, or even catch a great show. 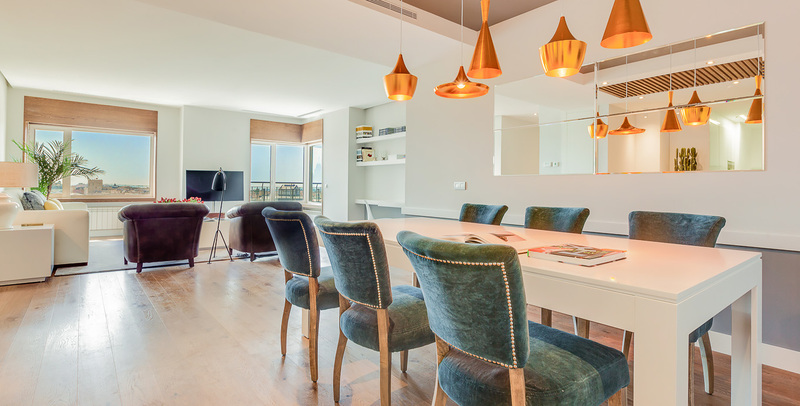 Your Local Ambassadors for your Torre Madrid XXVI stay have already provided some wisdom to whet your appetite.